Ola! I’m Andreea and, long story short, I’m a photographer & interior designer from Romania, in love with summer and the seaside. This wasn’t my first time visiting Lisbon, but I couldn’t say no to such a great occasion to spend again some time in one of the most beautiful cities in Europe. So when Surf Office offered me the chance to curate their Instagram… duuuh! Hey! 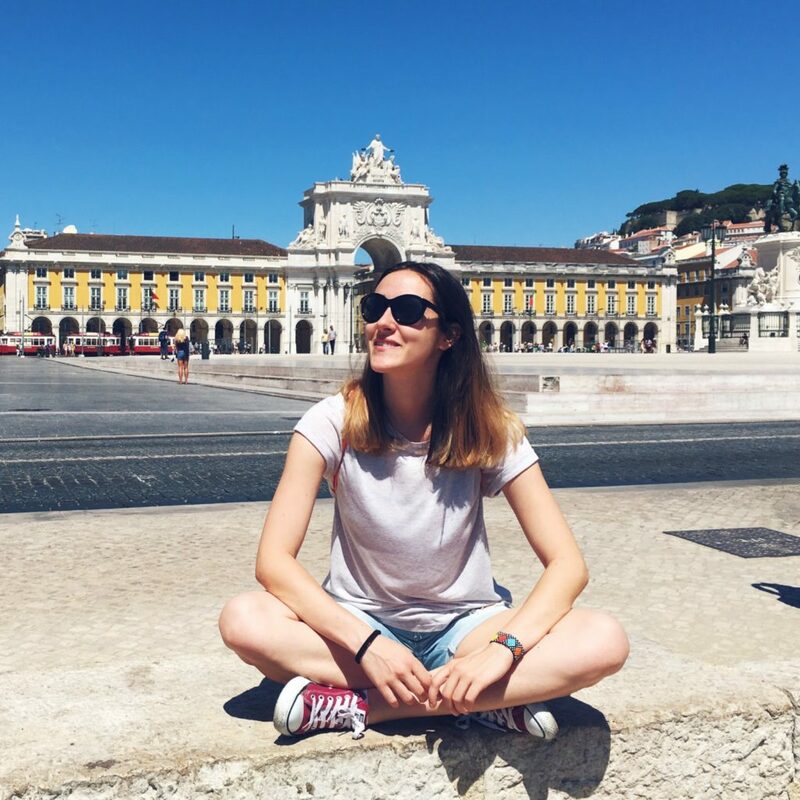 @andreeaiancuphotography here 😎 Ready to discover Lisbon with me? Let’s go! I arrived in Lisbon on a warm sunny summer day, after what seemed to me a spectacular landing (found out later it was just the usual for them), and it was a striking contrast to the Lisbon I met 2 years ago: cold, misty, with a hint of nostalgia lurking in every corner, but beautiful nonetheless. This time it was all filled with joy, colors, music, people of all ages buzzing up and down the steep streets and crowding the metro. It was the same romantic and inspiring city I remembered, but showing me another face. Lisbon stayed stuck with me as a favourite because of its architecture. Its people. And the surf, hehe. Oh, and because of pasteis de nata, of course! I love the colorful tiles covering whole buildings, the winding streets, the crazy tramways climbing or descending a street at full speed, the cute laundry hanging everywhere, the music and happy voices filling the streets until late in the night. It’s a feast for the senses to wander aimlessly through the heart of Lisbon, the architecture, regardless if it’s old or new, is beautiful and there’s something to discover each turn you take. Plus, there are plenty of miradouros offering you stunning views of the whole city, from different points of view. The people were always friendly, helpful and welcoming. I got the opportunity to meet a few actual locals and, although I know you cannot judge a whole nation by a handful of people, they all seemed to have some common traits. They’re easy-going and with a great sense of humour, also making fun of themselves in a good way. And they were all aware of the shortcomings of their country and people, but seemed to go with a rather positive outlook on life. Some of them were even inspiring in their approach, I might say! And the surf.. Well, this was the first time I ever tried surfing and what can I say, I’m in love. It seems freakin’ hard to master it but it’s such an enticing challenge that I’m looking forward to it. Also probably worth mentioning we had a great instructor (Goncalo @ Time to Surf) who made it easier to understand and like this sport. I already miss the habit of hurrying up each morning to catch the ferry to Cacilhas and wait for Goncalo’s yellow van. Improving my surfing skills might actually be a reason to come back to Portugal as soon as possible. No, I won’t end up my post without mentioning the sweetest thing ever, pastel de nata. The reason we’d climb an awfully steep street almost every morning to get the daily dose at Manteigaria. Dois, por favor! Special thanks to the Surf Office team for hospitality and to Peter for recommendations (Manteigaria got us a few extra kilos.. But we might have compensated with the surf lessons :D).